October 27, 2012- Miss Black Illinois USA 2012 had finished her farewell walk. The audience waited nervously at the historic DuSable Museum of African-American History in Chicago as the exiting queen then made small talk of her reign with the pageant’s host and executive director Roshonda Payne of The Savvy Sistah. They spoke of their ah-ha moments, what a year’s reign means intrinsically, and everything the incoming queen could expect. As the pleasantries (and time-fillers) were exchanged, the audience grew more restless, suspense heightening, being comprised of friends, family, and supporters of the eight young women who were competing that night. Through 5 rounds of competition, the ladies had donned glitter, gowns, and gumption for a chance to become Miss Black Illinois USA 2013. So who would it be? Fifteen minutes later, they had an answer. 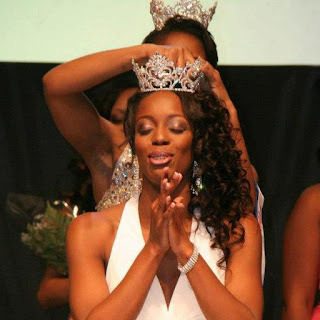 Winning the titles of Miss Congeniality and Miss Black Illinois USA 2013 was 25 year-old Cortnee R. Smith of Calumet Park, Illinois. 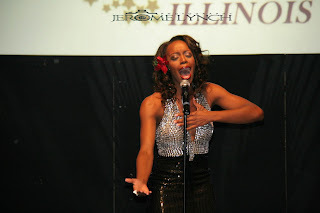 Smith wowed the crowd and judges with her strong vocal performance and meaningful platform. 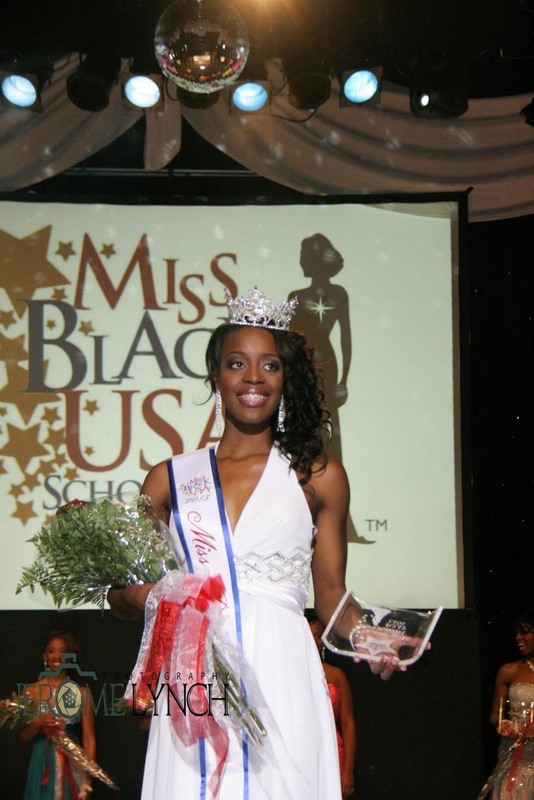 Once the crown had been pinned into her perfectly coifed curls, the former Miss Black South Suburban 2013 stepped into the spotlight to begin her year as a state titleholder. “I am truly humbled,” she said, “God has really been planting this seed in my heart and has given me motivation. I only hope to continuously meet and exceed the standard of excellence expected of Miss Black Illinois USA queens.” Rounding out the winners’ circle included Ariel Fuller (1st runner -up), Inez Jones (2nd runner- up), and Shakari White (3rd runner -up). 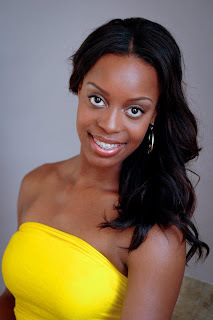 The graduate of the University of Illinois at Chicago and Roosevelt University will compete for the national title of Miss Black USA in August 2013. Now a’days, Cortnee is busy. In fact, she is verybusy. Whether she is traveling the state of Illinois or keeping young ladies fit mentally and physically through her platform, Cortnee R. Smith is a woman who will sleep later… much later. This week, “5 Questions” sits down with the health enthusiast to find out what keeps her going and how she plans to empower to the next generation of leaders. 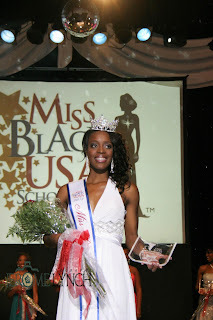 1) Congratulations on your new title of Miss Black Illinois USA 2013! How will you prepare for the national pageant and how can supporters help you? Thank you very much! I will be preparing for the national pageant in a few ways. First, I will continue the implementation of my service platform: Empowering Girls of Color Through Health & Fitness. 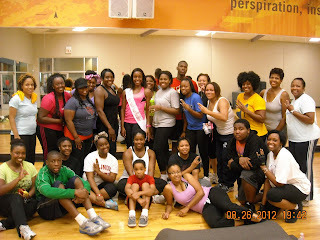 Through this platform, I will be hosting fitness, healthy eating, and self-esteem clinics for young women. Having a high self-esteem while maintaining good health plays a pivotal role in young girls’ development. My ultimate goal is to prepare them for life through the embodiment of self-love. My overall platform of healthy living also ties into the national Miss Black USA platform of The Heart Truth, a nationally recognized heart disease awareness campaign. Heart disease is the #1 killer of women. Aside from my platforms, I have a personal trainer named Tina Denard of Body by Tina D. Although I maintain a regular workout routine, Tina is able to push me and get me results that I probably couldn’t achieve on my own. I also have a fabulous vocal coach who helps me keep my voice strong and “out of the norm” through vigorous lessons. Supporters can help me by “friending” me on Facebook and “liking” my fan page. On those pages, I will update my supporters of my gofundme account, events that I will host, and also events that I will attend. They can also book me for events! I would be happy to make a presentation on my platform or perform my talent at an event. I have to give all praise to my mother! She’s a very talented woman. I inherited all of my talents from her. I sing, act, model, and dance because she did the same. However, she never entered a pageant and I know that was something she always wanted to do as a child. So, she vicariously gets her pageant-on through me. 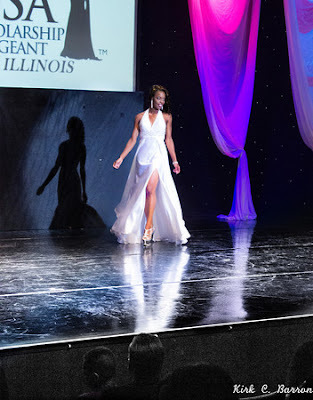 I entered my first pageant (Miss Illinois Teen USA) during my senior year of high school. I won a fitness award that year. I didn’t know that winning that award would motivate me so much to want to win more awards through pageantry. So from there I competed in other systems, won local titles, and placed fairly high at nationals, but winning the title of Miss Black Illinois USA is most special to me. 3) What was the best piece of advice someone ever gave you, and what advice do you have for girls getting into pageantry? I was told to stay true to myself, not to conform to someone else’s ideals of what they believe I should be. So I did! I am a tall, dark woman with a bit of curves. I have a large smile, big eyes, and I am full of life. I wouldn’t change that for the world! 4) With Thanksgiving around the corner, what is your go-to holiday beauty secret? Good question. Well, I tend to have dry skin during the colder months, so my go-to beauty secret is to keep my skin moisturized with Aveeno Active Naturals (Positively Radiant Skin Brightening Daily Scrub) and Aveeno lotion. That’s just for my skin, but I keep a red lipstick in my purse. It goes with everything! 5) What do you think the recent presidential election says about the future of this country? I truly believe that President Barack Obama’s re-election shows that our nation is more united than perceived. His re-election has broken stereotypes and eradicated racial barriers. I believe that this unity will continue to blossom in the future. 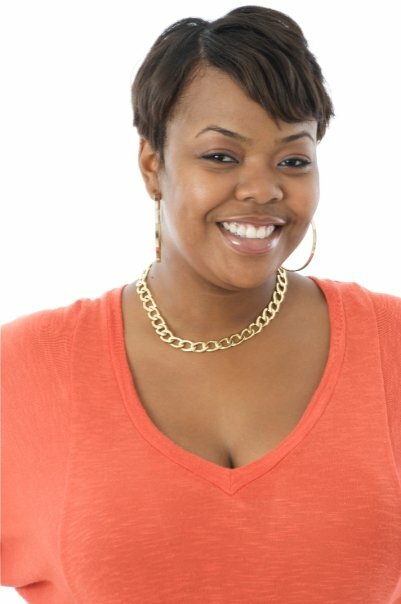 Angelica Jones, Director of Operations for SpokenFree ENT., is a student at The University of Phoenix, majoring in Marketing. An avid reader and writer, Angelica’s conversations with peers and journal entries led her to understand that everybody has a story and that people need to be connected to other people. A former Editorial Assistant for the nationally recognized periodical Buying Power of Black America for the 2006 and 2007 editions, Angelica is familiar with the importance of details and story telling. In addition to working as a blog contributor and administrative assistant for Writing It Right For You, Angelica also works as the Office Manager at The Comfort Cake Company in Chicago. This is a beautiful spread. Thank you very much! Anytime, Cortnee. You're inspiring us all! Wonderful article Angelica! Thanks Imani!! !